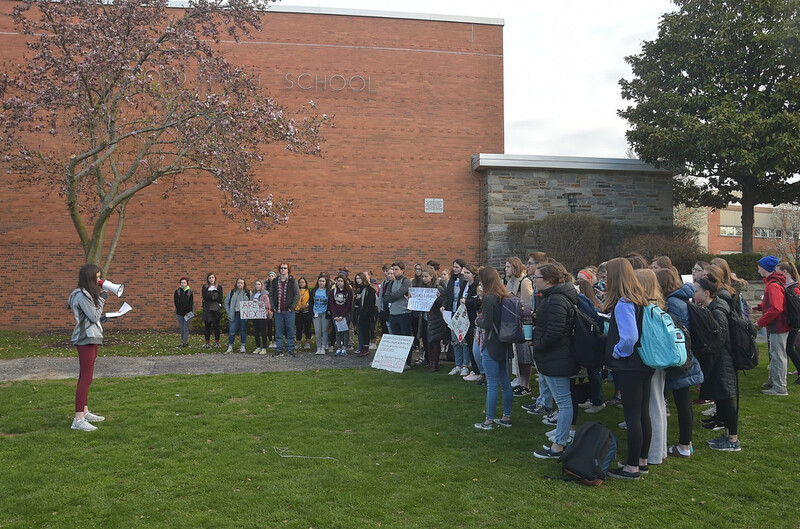 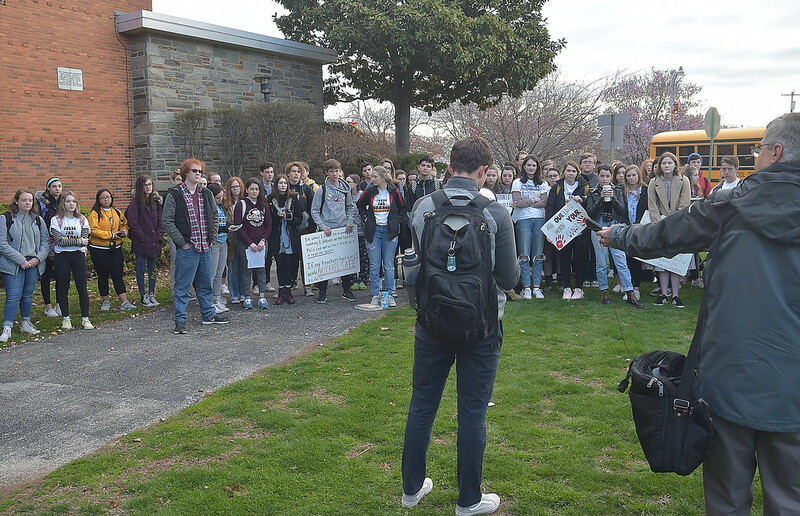 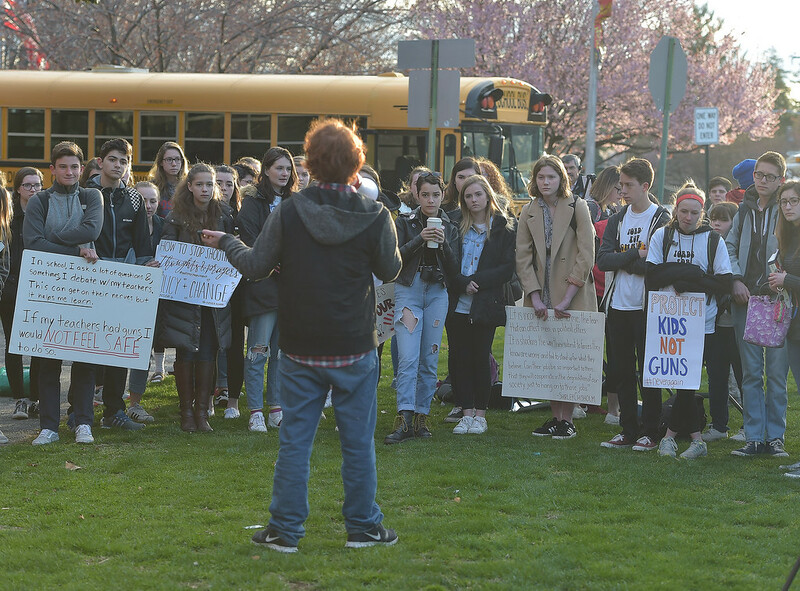 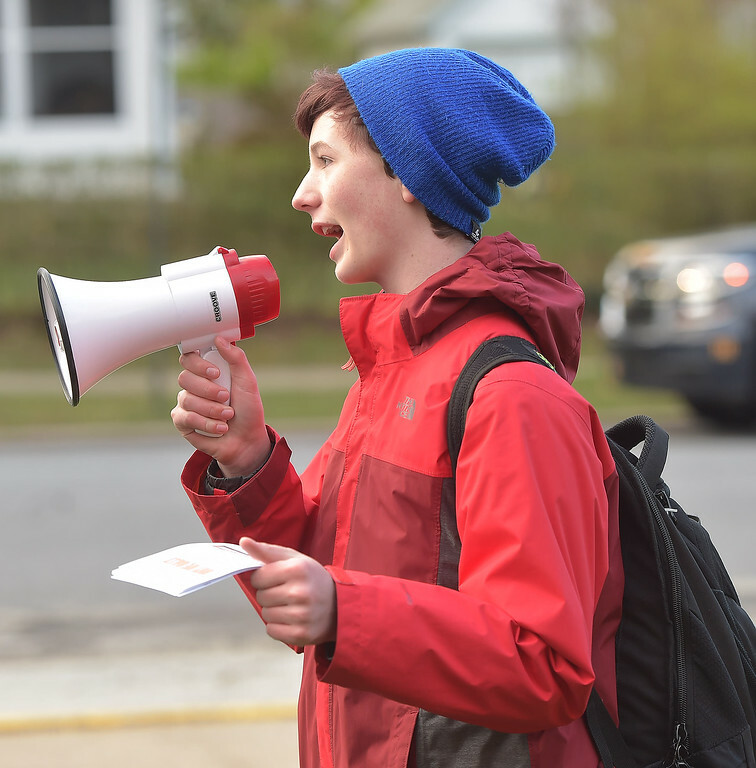 PETE BANNAN-DIGITAL FIRST MEDIA Over 100 Haverford High School students walked out of class 10 a.m. Friday in support of gun control. 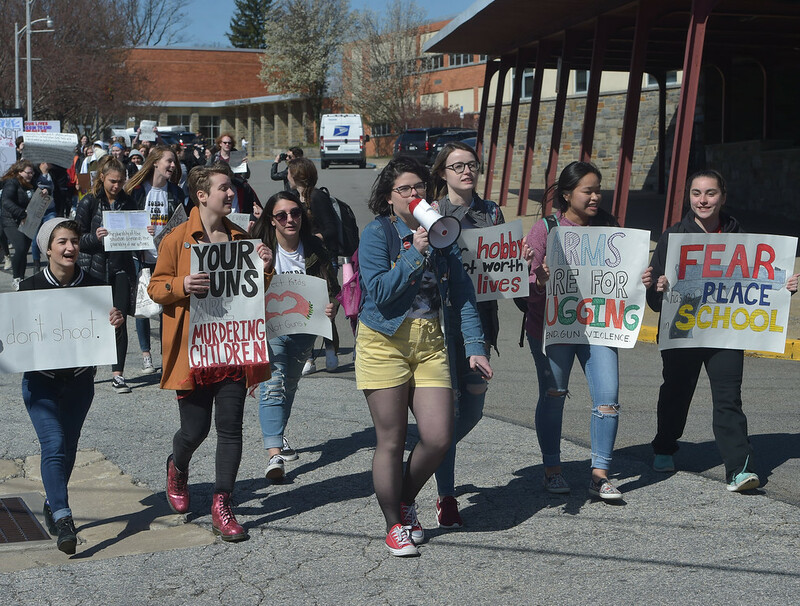 Junior Mable Peach said they were marching around the neighborhood and would be back at 11:30 a.m. She said students were told their would be punishment for walking out but it had not been determined the severity. 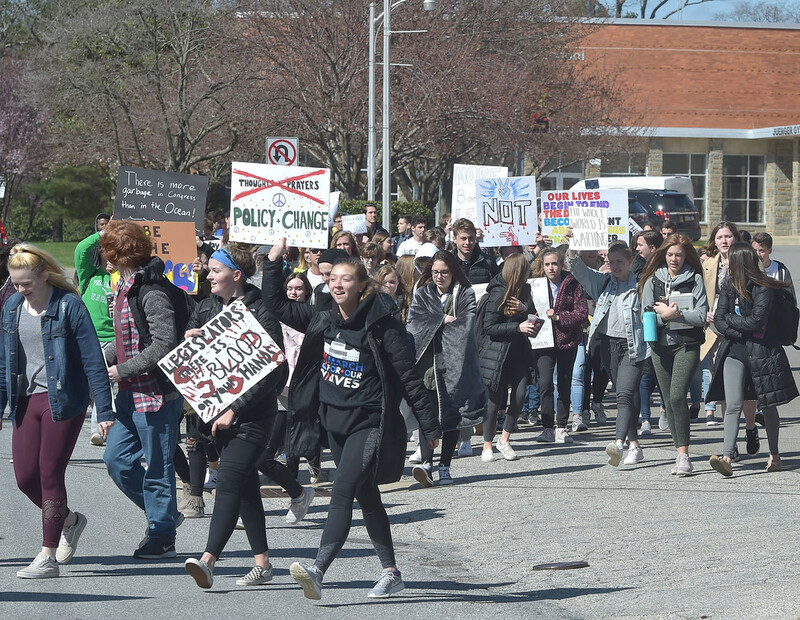 If they were not back at school at 11:30 they would face disciplinary action in accordance with the Code of Student Behavior. 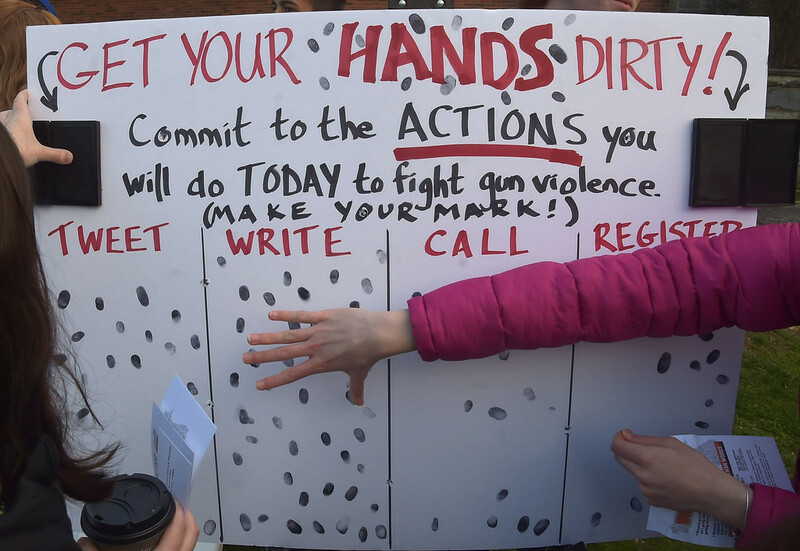 PETE BANNAN-DIGITAL FIRST MEDIA Haverford High School junior Emily Selfridge puts her thumbprint on the commitment to call elected officials in support of gun control at a morning rally at the high school. 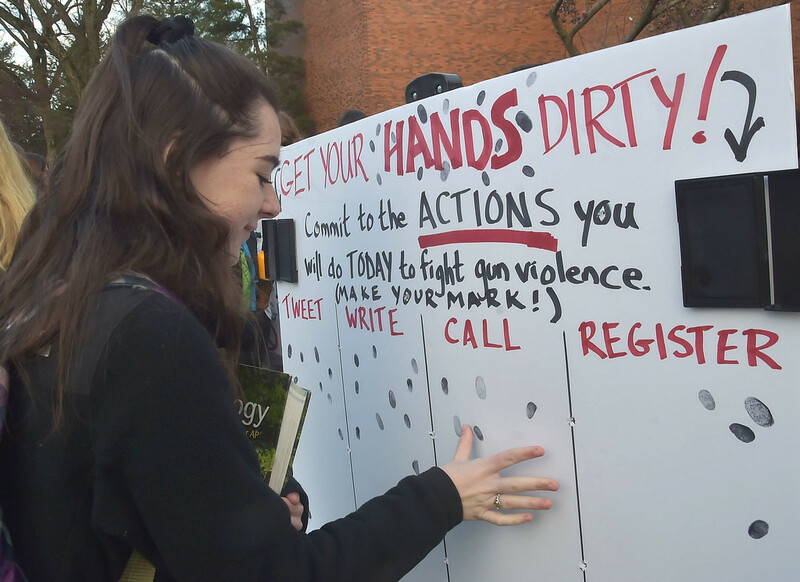 PETE BANNAN-DIGITAL FIRST MEDIA Following the ally students committed to “Get to Your hands Dirty“ by putting their thumbprint to one of four activities, tweeting, writing or calling members of congress or registering to vote. 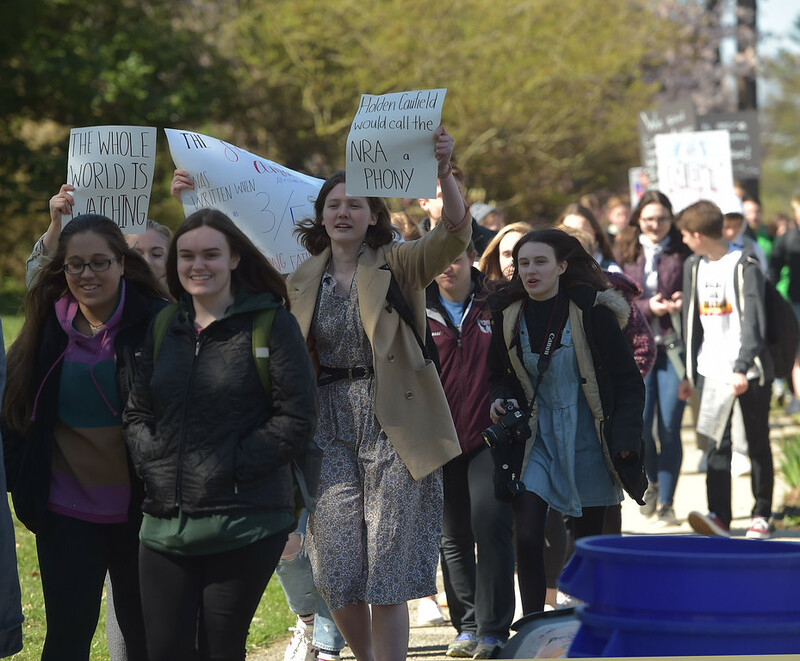 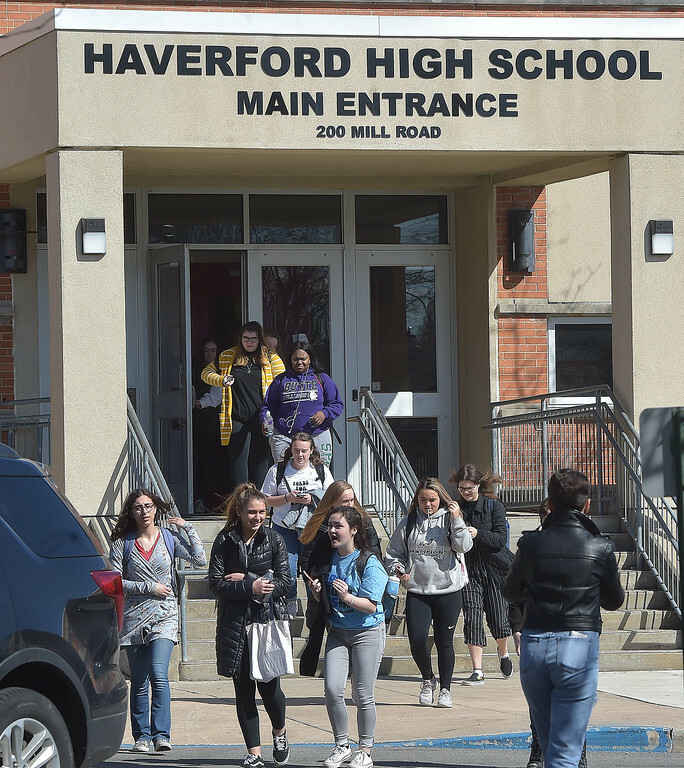 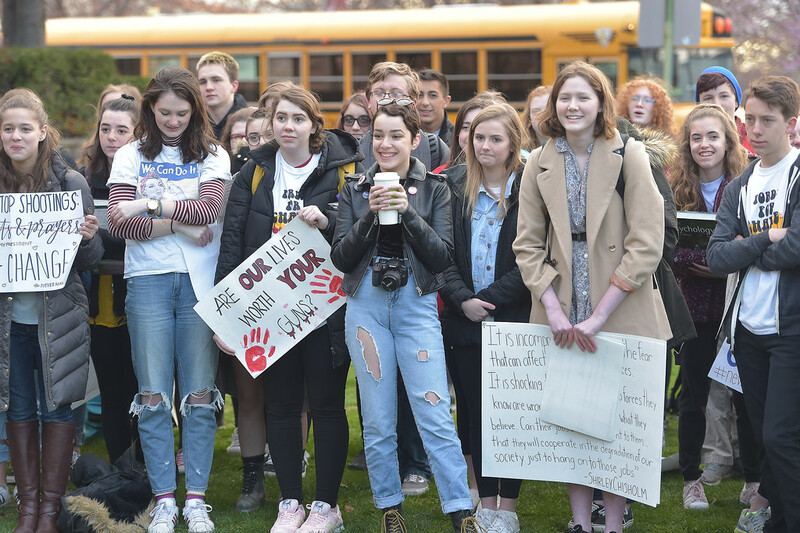 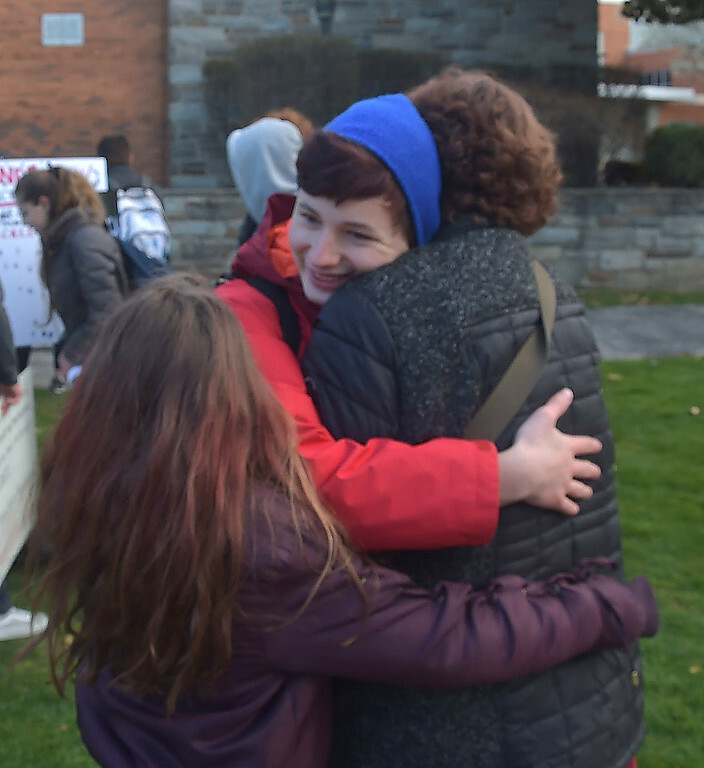 HAVERFORD>> To get teenagers up 30 minutes early they must be motivated and for the group of Haverford High School students assembled on the school lawn before classes Friday that was certainly true. 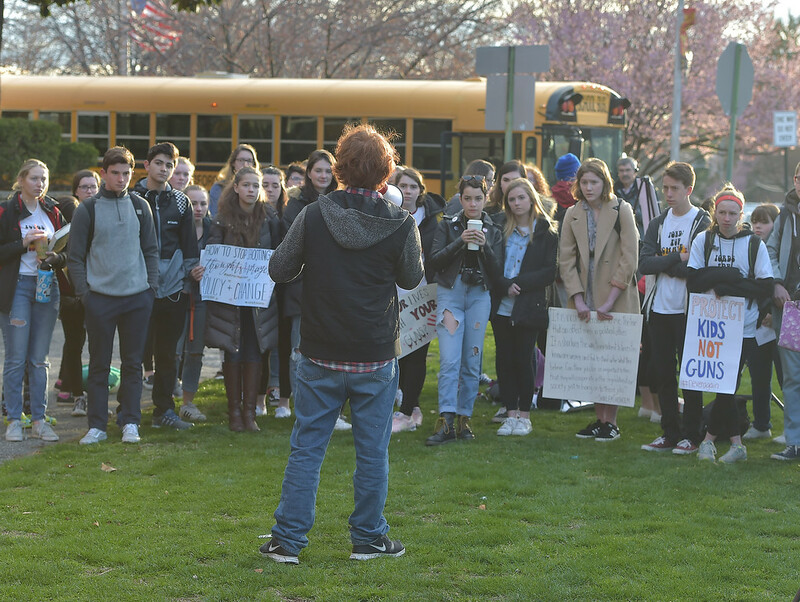 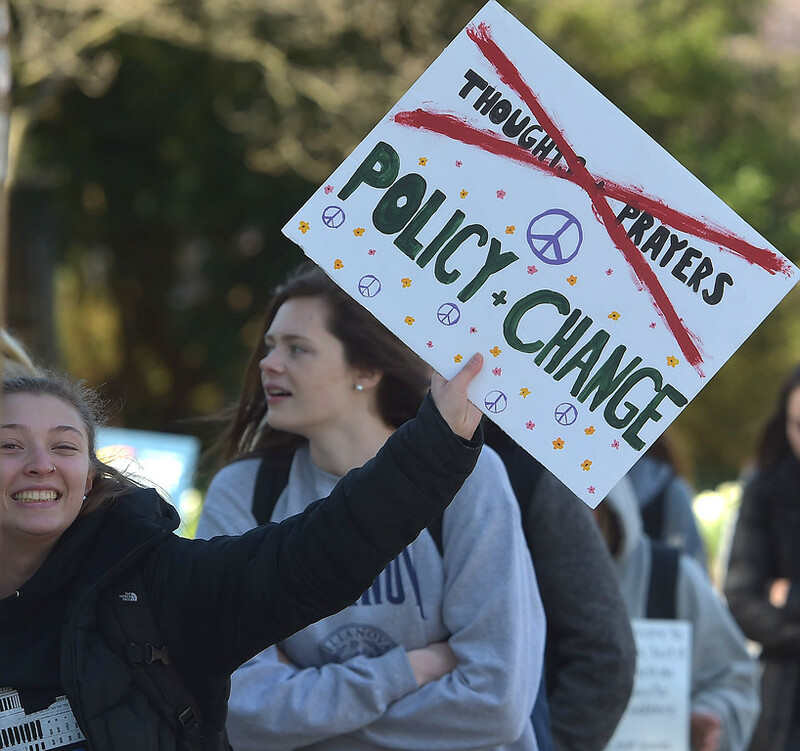 Sipping coffee and trying to stay warm, the 50-70 students stood on the lawn in front of the auditorium to demand change, calling for gun control. 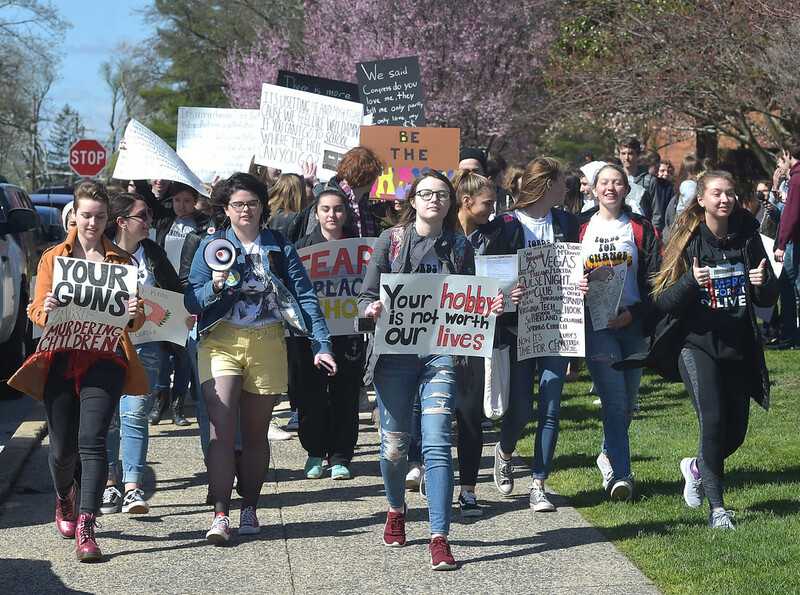 And a school walkout that followed.